Horror comedies seem to be the new fad in Bollywood after the roaring success of movies like Golmaal Again and Stree. Not that these were the first horror comedies in Bollywood, but maybe the audience has become way more receptive towards the genre. Here is the official announcement about another horror comedy in the pipeline. 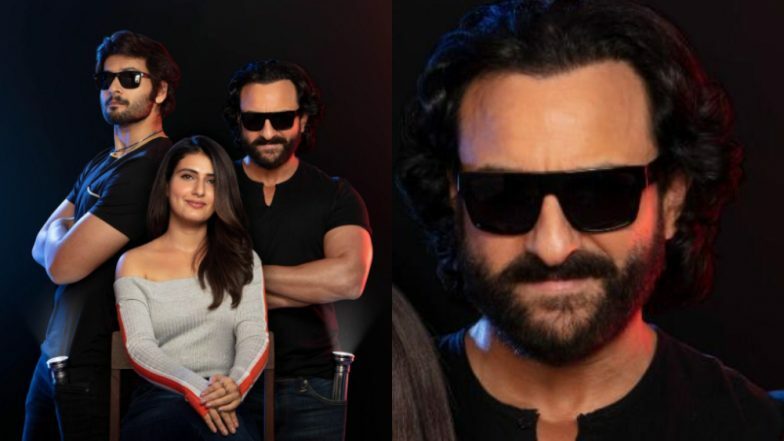 Titled Bhoot Police, this movie will star Fatima Sana Shaikh with Saif Ali Khan and Ali Fazal. The news about the actors; involvement with the film broke a few days back, but now it's official. Bhoot Police is quite a quirky title and it gives us a whiff of what the movie will be about. "Ghost hunting is a hilariously spooky business," Fatima confirms the plot with her Instagram caption. Bhoot Police will be an immersive experience as it is going to be shot in 3D. The makers have also announced that this will be the first film in the intended franchise. For Fox Star Studios, the movie will be helmed by Pavan Kirpalani, known for directing supernatural thrillers like Radhika Apte's Phobia and Rajkummar Rao's Ragini MMS in the past. Bhoot Police is the collaborative effort of multiple writers including Pavan, Anuvab Pal, Sumit Batheja & Pooja Ladha Surti. While the announcement happened today, the movie won't go on the floors until August. Saif Ali Khan Starrer Tantrik Is Now Titled Bhoot Police; To Be Directed By Pawan Kriplani.